While social media is undoubtedly a powerful marketing tool, it also exposes your brand to intense competition. If you aren’t staying up-to-date with the latest trends and changes, you’ll likely lose ground to your competitors - Facebook, Twitter, LinkedIn, and others are constantly updating themselves to meet the changing needs of consumers and businesses. Here’s a look at some of the most notable social media changes so far in 2018. In the first quarter of 2018 alone, Facebook has made more than a dozen changes that can have a significant impact on your marketing results and costs. 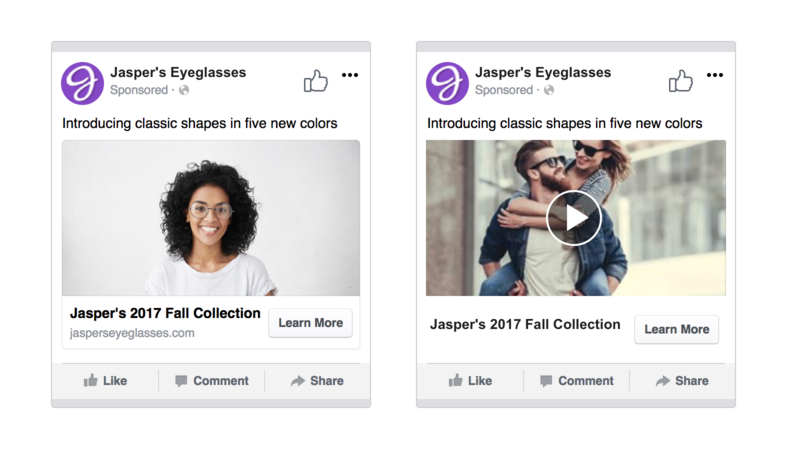 The biggest changes so far are related to advertising on the platform - if you’ve ever used the A/B testing feature on Facebook to choose the best ad image, you should know that things can get a bit messy. You may end up with more than 10 different ads if you wish to test copy variations alongside ad images. Now, you can use Facebook’s algorithms to find the best combination of images, headlines, and text, thanks to the new Dynamic Creative feature. Dynamic Creative enables you to include up to 30 creative assets when creating a Facebook ad. After the ad is published, Facebook will do some mixing and matching to determine which variation delivers the best results. Facebook has also introduced Dynamic Language Optimization to enable the creation of multilingual ads, helping to expand audience reach. Previously, you had to create several different sets of ads, with translations in different languages, but now, you only need to create a single ad and choose from up to six different language translations. Facebook will automatically optimize your marketing campaign budget and deliver your ads in the selected languages to the right audiences. In addition to the latest Ad Manager updates, Facebook's been making major changes to its News Feed to provide more trustworthy content for its users. As a result of these changes, you can expect to see less public posts from businesses and the media on your News Feed, with a bigger emphasis on personal posts from family members, friends, and groups. Facebook users will also see more content from local news sources. The purpose of this update is to thwart the distribution of fake news and improve the overall quality of news shared on the platform. Businesses that are looking to make best use of Facebook for marketing purposes should make a point to create high-quality and personalized content where possible, and use smarter calls to action. These updates will help businesses and marketers keep up with changes in communication trends, make their ads more appealing, and ideally increase the efficiency of their marketing processes. With several significant modifications over the past year, Instagram has become a more dynamic and engaging platform, both for users and marketers. In an effort to fulfill user demand for better content management and delivery capabilities, the leading image-sharing platform has also rolled out a number of important updates over the past few months which will likely impact your social marketing approach. First off, Instagram recently introduced the ability to follow hashtags. This eliminates the need for users to search for content they’re interested in, as any content with the followed hashtag will now automatically appear in their main feed. The 'regram' option is another feature that's been on the wish lists of Instagram users for a long time, and the platform is now investigating options, including the capacity to share other peoples' Instagram posts within your Story. Sharing content on Instagram is not as easy as it is in on Facebook or Twitter, as it requires users to have a third-party app. In addition, users can easily make a screenshot of another person’s content and post it without proper attribution. As a business owner or marketer, you can take advantage of the new “follow hashtag” feature to monitor your brand’s hashtags more easily. Additionally, using hashtags to find targeted topics will give you a better insight into your competitors’ activities and the types of content that’s generating the most engagement. As a business, you should also know that user-generated content (UGC) is an important part of sharing updates. The regram option will make it much easier to share UGC and other kinds of content, while also giving proper attribution to the person who first shared it. With users losing interest in some of its features over the past year, LinkedIn is stepping up its game with a number of major updates. Among the new updates is a refresh for LinkedIn groups. LinkedIn’s groups feature became less popular among users because of the influx of spam, and subsequent lack of engagement. In an effort to encourage more people to use groups, the business-centric platform has made the feature accessible from the homepage, with the latest content from groups available in the homepage feed and notifications. In addition, users can now post videos for group members to view. LinkedIn's also updated its Sales Navigator app to make it easier and quicker for businesses to access information on their existing and prospective customers. It's also redesigned the account pages, improved the available search filters, and introduced email alerts. The revised features also allow users to transfer data to corporate accounts with a self-serve tool. Businesses and marketers can only benefit from better communication, data and account management, and the groups updates also improve the overall LinkedIn experience, enabling greater capacity for connection and engagement. Earlier in the year, Snapchat underwent a major redesign, which involved various interface changes. One of the most notable updates is the separation of media content from “friends” content. This caused an uproar which has resulted in over 800,000 users signing a petition demanding Snapchat to revert the app to the old version. In response to the complaints, Snapchat initially said that a big update like this can take time to get used to, and that users will find it more enjoyable once they settle in. But more recently, some users have reported seeing a switch back to the chronological feed - there's no official word from Snapchat yet, but there may still be hope for those unhappy with the changes. With publisher and branded content pushed out of the main feed, businesses may need to consider paying to advertise on the platform if they want to achieve the same levels of reach and engagement they had before the update. The update also gives Snapchat's algorithm more control over what users see in the Discover tab, putting additional pressure on brands to buy ads if they want to get their posts in front of their fans.